We offer discounted rates available based on quantity and duration of rental. 1000 lb. static load capacity. Simply the strongest, most stable Chiavari Barstool available! Ideal for all indoor and outdoor events. 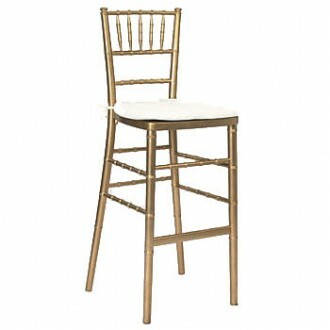 * Please call us for any questions on our chiavari barstool gold rentals in Shreveport and Bossier City, Louisiana.